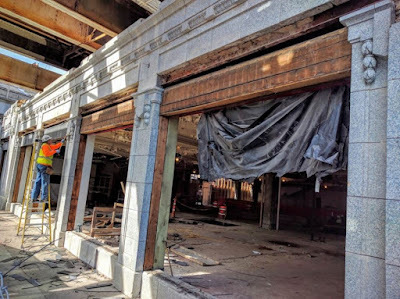 It's not just the train tracks above that are coming down. 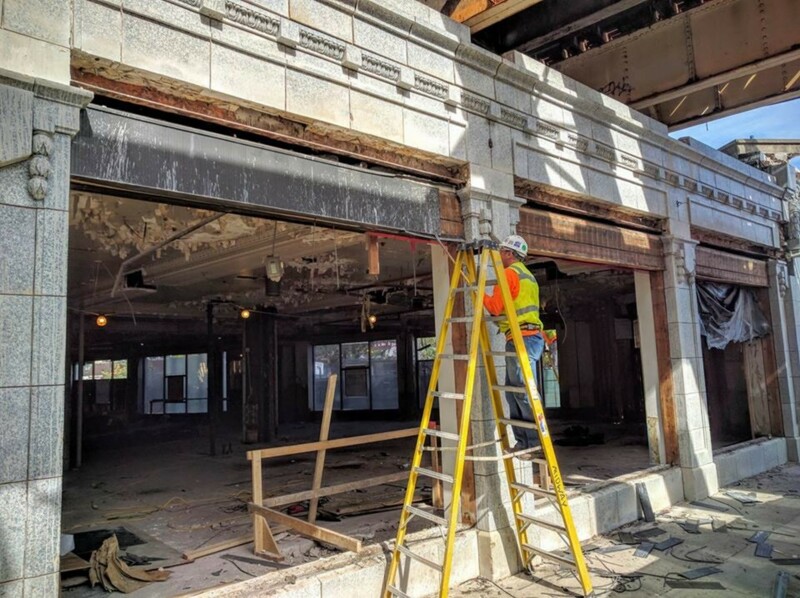 The windows of the Gerber Building at Wilson and Broadway in the Wilson L restoration project have been removed. You can look in and see the whole thing. 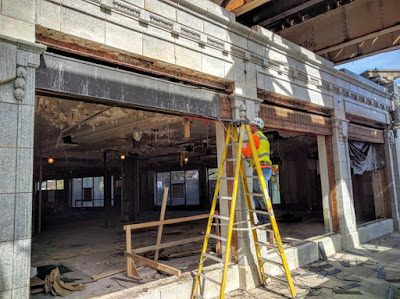 It's amazing to think that for decades, the entire interior area from the corner entrance to the marble staircase mid-block on Broadway was a waiting room, with a magazine stand that ran the length of Broadway and lots of benches for passengers to relax on while waiting for their trains.